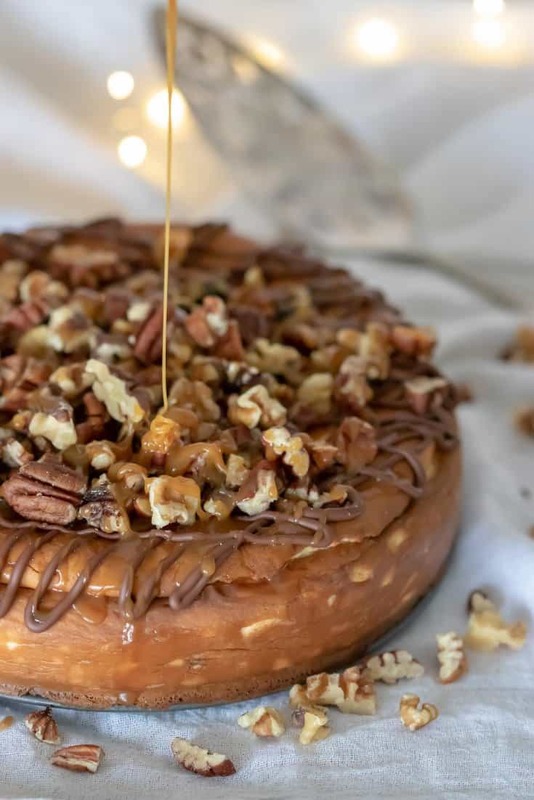 I'm so excited to share this new Keto Caramel Pecan Turtle Cheesecake recipe with you today! 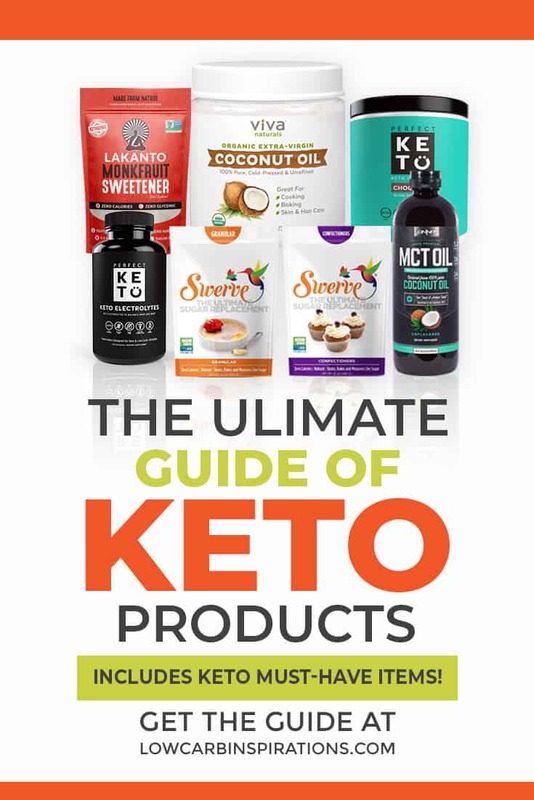 If you are anything like me, you love cheesecake but being on the keto diet you are always on the lookout for ways to enjoy past favorites before starting this way of eating. 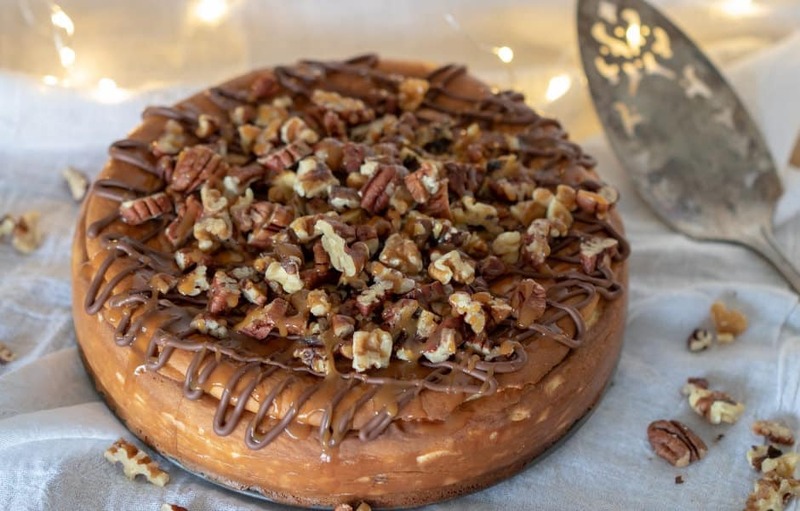 Good news is…I've got your covered with this pecan caramel turtle cheesecake! 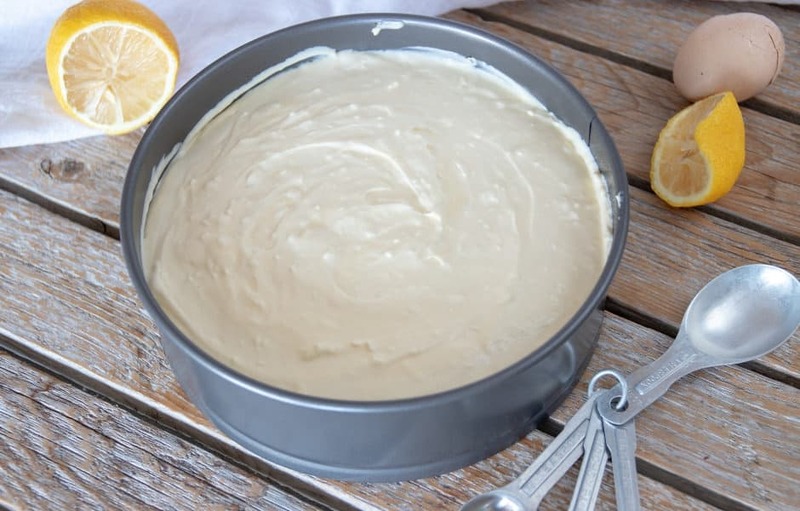 You would never know that this cheesecake recipe is sugar-free! 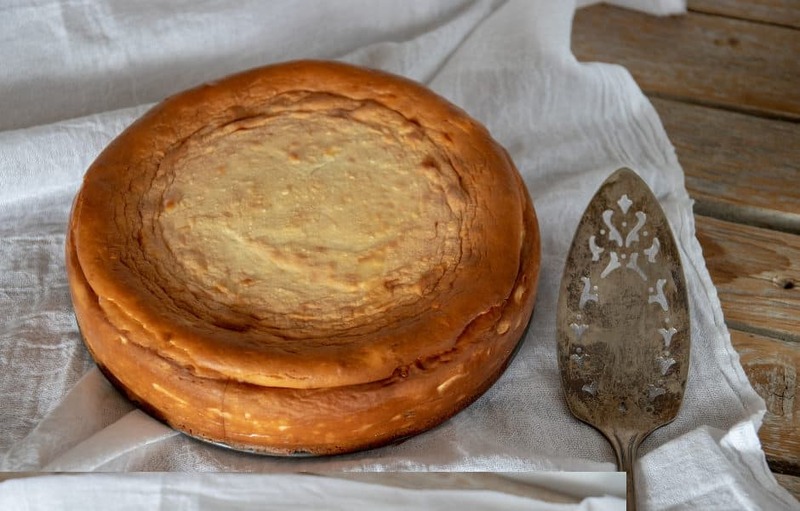 It tastes just like the traditional cheesecake we all know and love. 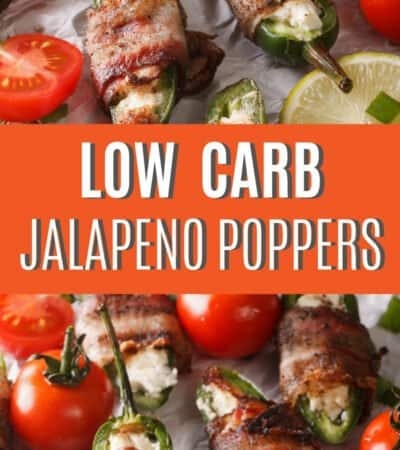 The flavor is amazing and the texture is perfect! 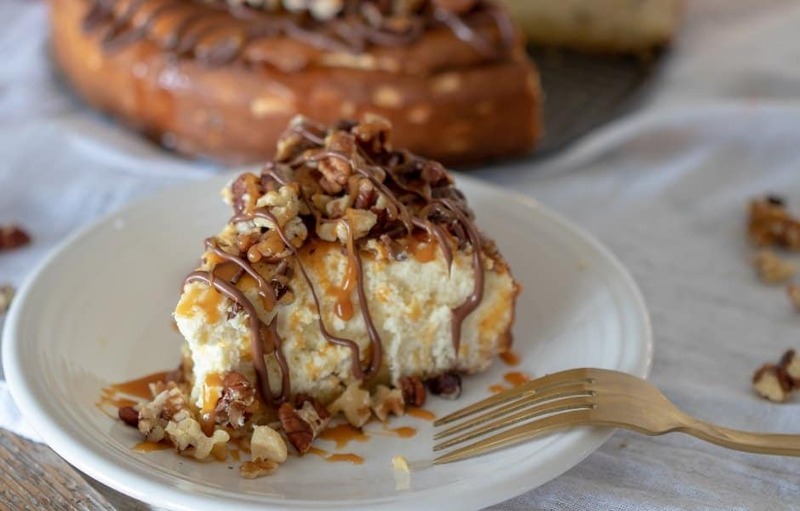 This easy turtle cheesecake is topped with our sugar-free caramel sauce and dark chocolate. 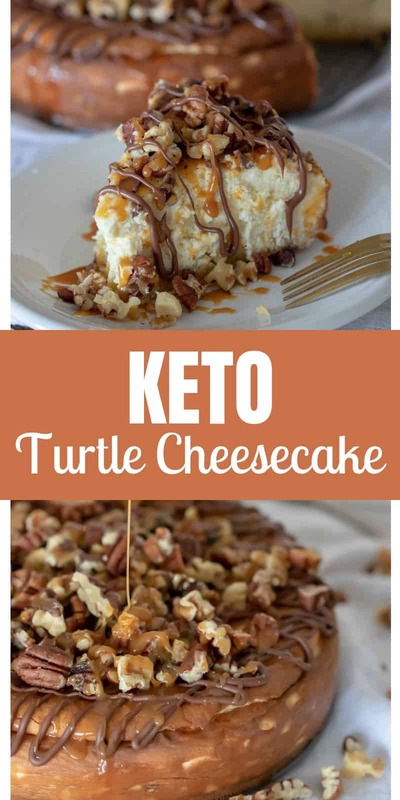 It's paired with chopped pecans and walnuts to take this keto turtle cheesecake to the next level. 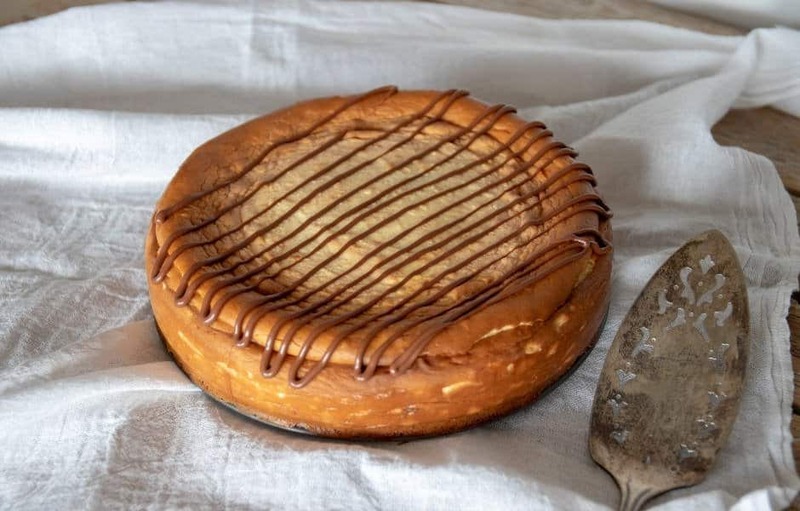 I could rant and rave on and on about this caramel turtle cheesecake, but I won't! 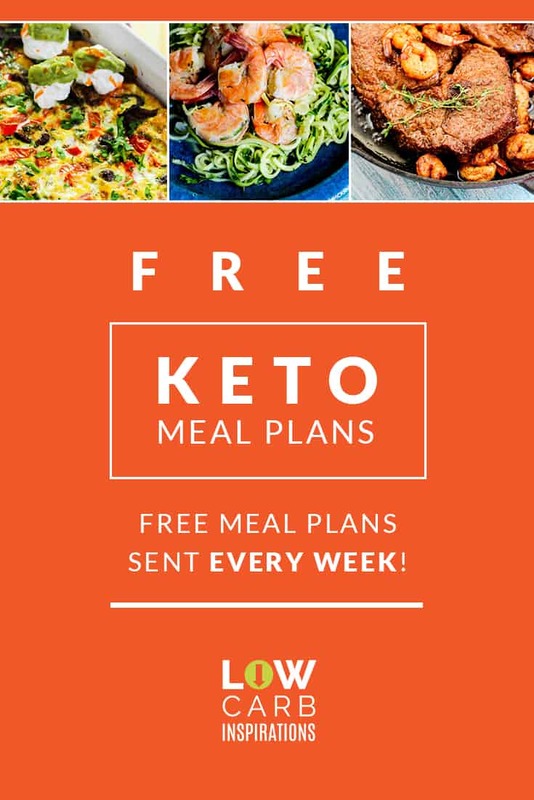 You will just have to try it for yourself! It's so good and perfect for anytime of the year! Not only that but you could easily replace this with any birthday cake for your birthday celebration too! 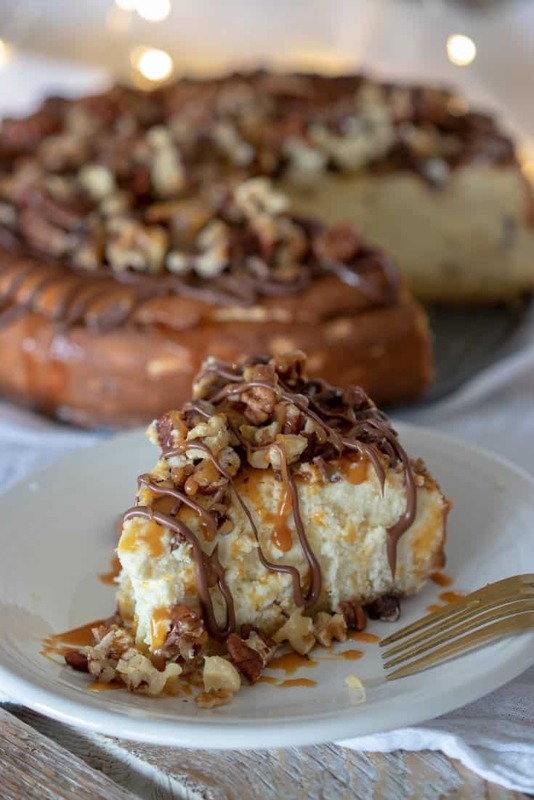 This keto caramel pecan turtle cheesecake is the best turtle cheesecake you will ever enjoy. 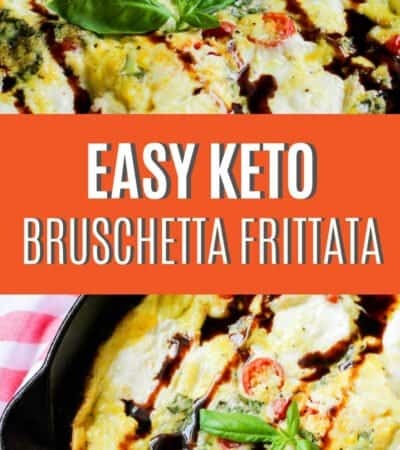 It's keto-friendly and so delicious. Next, add the lard to the melted butter. In a separate bowl, combine 3 large beaten eggs. Mix the dough with your hands until all the ingredients are fully combined and it resembles a dough. 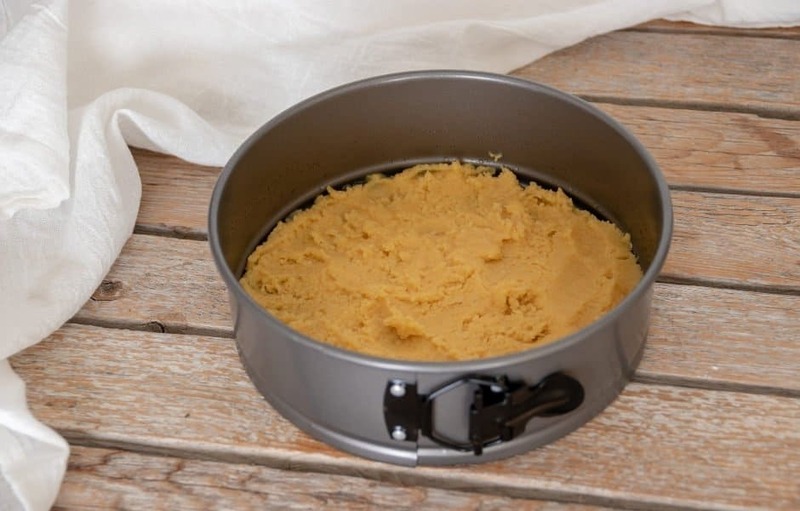 Spray your pie pan with non-stick cooking spray. Grab a little bit of dough at a time and press it firmly and evenly into the pie pan working your way from the center of the pan up and finishing up to the edges of the pan. I like to create a thicker edge at the top rim of the pie pan. Bake your crust at 350 degrees now or add the filling and bake it all at the same time. Note: This is not the type of dough you will be able to roll out with a rolling pin. It crumbles and will not hold together. Don't attempt it. 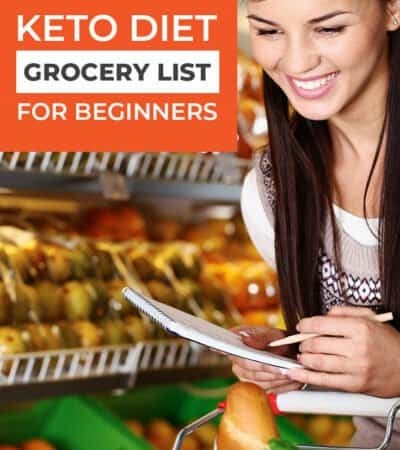 Start by Making the pie crust. Add the lard to the melted butter. In a separate bowl, combine the 3 large eggs. Beat the eggs until fluffy. Then add the eggs to the butter mixture. Add the remaining dry crust ingredients and mix the dough with your hands until it forms into a dough. Spray the bottom of your pan with nonstick cooking spray. Firmly press the dough into the bottom of the pan with your fingers until it's evenly distributed throughout the pan. You can create a thicker edge around the outside of the pan. (I prefer this) . This is not the type of dough you can roll out with a rolling pin. Bake the crust at 350 degrees first for about 10 minutes. Then remove it and allow the crust to cool while you make the cheesecake center. You will add the cheesecake center and bake it again. What is “4 blocks” cream cheese? I’m confused. 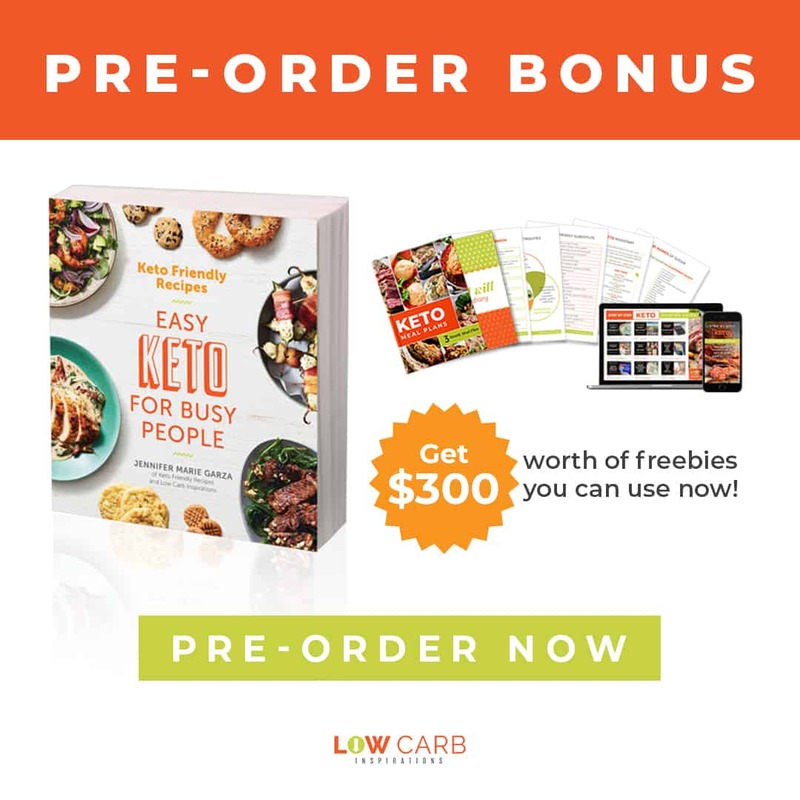 Does this recipe use a crust or not?? Yes, I’ve updated the recipe with better instructions. Sorry about that! I used the powdered. If you only have the granular, you can pulse it in the food processor for a few seconds and turn it into a powder. Would this work as a crustless cheesecake? I’m sure it would but I would absolutely add parchment paper at the bottom of the pan.